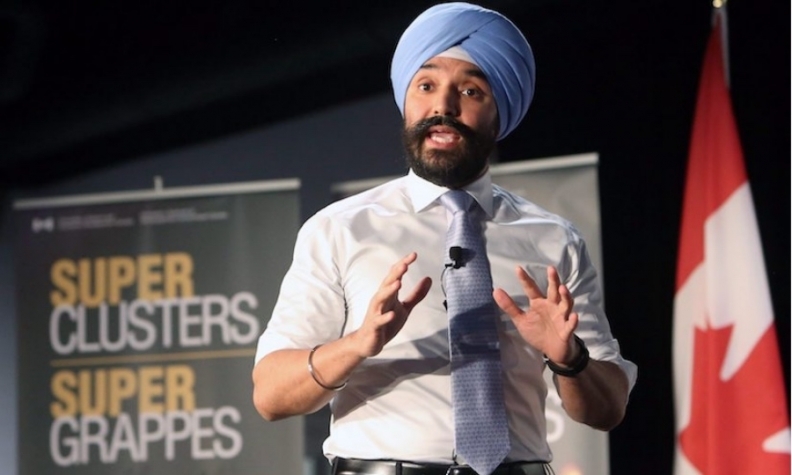 Navdeep Bains, Minister of Innovation, Science and Economic Development announces proposals under the $950-million Innovation Superclusters Initiative in Ottawa, Thursday, Feb. 15, 2018. Canada’s advanced manufacturing supercluster is designed to develop the next generation of automation technology that could address the chronic shortage of skilled labour plaguing auto suppliers, proponents say. Linamar Corporation, one of the supercluster’s lead companies, will be short 4,000 employees by the end of this year, including 1,500 in Guelph, Ont., alone, said Werner Memering, director of agile manufacturing and general manager of the company’s Innovation Hub. “It’s very typical that everybody is looking for technology skills, engineering people,” Memering said following a session on the federal initiative at the Automotive Parts Manufacturers’ Association conference, held in Windsor, Ont, Wednesday. Guelph-based Linamar is part of one of five technology groups that will get a piece of up to $950 million in what the federal government calls its “superclusters” initiative, announced back in February. Federal Economic Development Minister Navdeep has said the initiative is a high-tech collaboration strategy aimed at fostering growth and creating jobs. Parts suppliers at the APMA sessions were urged to submit project proposals, identifying their technological and labour needs. “There is a massive shortage across the board, not just in Ontario, but across North America,” said Aaron Toplician, business development representative at OTTO Motors. “So, companies need to invest and think about ways to handle that as their output grows through the advancements in technology."